Birth Announcement and little more from the life. UMotherhood is fun and easy. Said no mum ever. But every moment is a moment to cherish. Well, not every moment. There are moments that we really wonder if we can handle them. But thankfully they don't last longer. If you've been reading my posts you already knew I was expecting my baby #2. I delivered a baby boy on may 27th at 5.38a.m.it was a quick birth compared to my daughter's birth. I am not comfortable enough to share my birth stoeries on a media though I like to keep a journal on pregnancy to birth. So if incase I want to get pregnant again I can read them and decide if I really want to go through it again. LOL! But I didn't keep a journal either. I am trying to update the blog with the birth Announcement ever since my little handsome born. But couldn't finish editing the post. He is pretty much sleep through the night. But almost awake in the day time. When he is awaken he wanted to be held and rock all day. It's hard to calm him down otherwise. Whenever he crying dear daughter scream and cry if everyone at home giving their attention to her brother to calm him down. It's quite frustrating so I try to take care of little handsome everytime because dear daughter doesn't like anyone else to give their attention to her new brother. because she was the only one ruling the home last two years. I don't expect her to understand that he also need everyone's love and attention just like her. She is too small to act like a big sister. I hope she will share and get along with him as they grow up. I can say she really like him because she checking him out every now and then though it's hard her to accept the new change completely. I see it as a good sign. We are trying to pay a little extra attention for her as she is being more adamant and having tantrums almost all day which I think to grab the attention. She usually used to have evening tantrums and now her brother join with her to give some real fun of motherhood to their mummy. Thankfully I don't face these crying and screaming all alone, Because my family is helping with me to take care of the kids. Anyway, I know raising kids not easy. I am not regretting to be a mom either. They made my life fulfilled. II don't want to bore you with more. But I really like to talk about kids. Meet you in another post soon. Good Day to you! Janet is a local brand of skincare and makeup products in Sri Lanka. If your a Sri Lankan you may know this brand because it is one old and famous brand here. If you are not a Sri Lankan then you probably won't even know the name. But still you can read this post if you are interested. I've already done a review of Janet Strawberry Face wash. Reason I like to buy local products is they are not pricey. Lets get into the review. 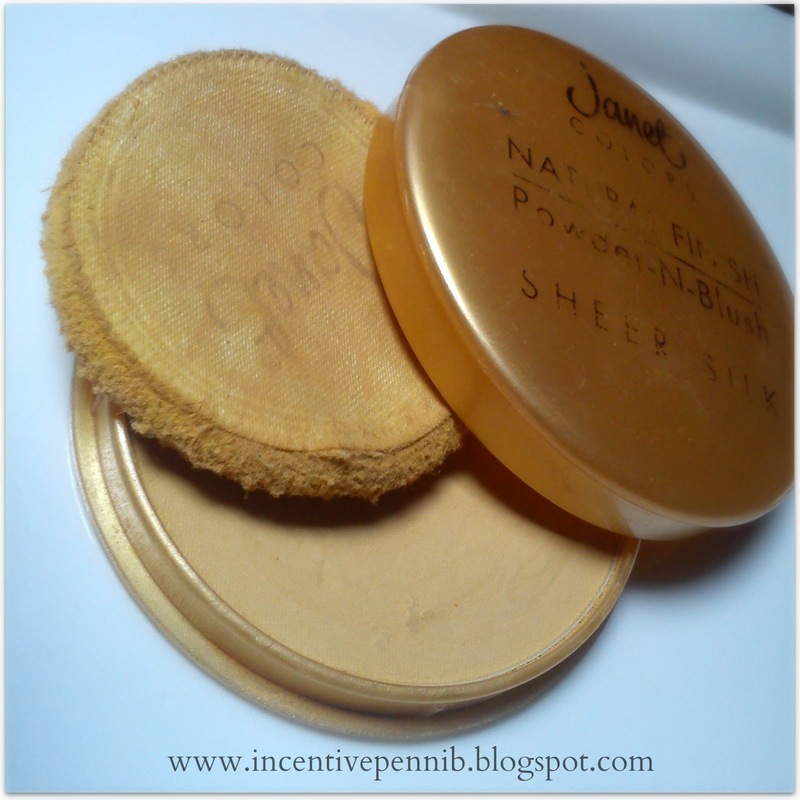 This Powder-N-Blush is one of my first makeup products. I loved using it because I had oily skin problem earlier and this product is something my skin get along with. I don't have oily skin problem now though I repurchased it because it doesn't seem like I wear makeup on but it does brighten my skin-tone. I don't know if I mention on my earlier posts that I don't like heavy makeup on casual day out or for everyday makeup rather than a occasion. This product just gives a finishing look for your makeup. You need to get several touch ups for a long makeup day. 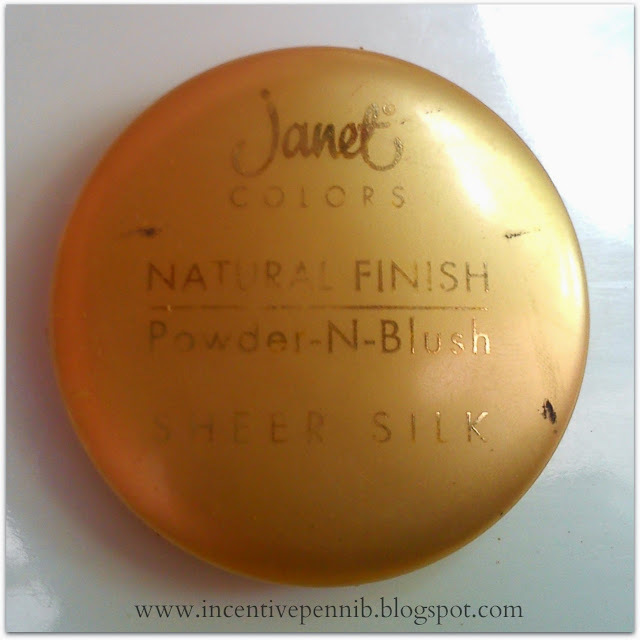 I loved wearing this with Janet Liquid Foundation but any foundation will work well with this. It does look good even without a foundation on but when I closely looked my face on a mirror I can see that powder settled in pores and it looked like my face dry out. I've got No. 6- Deep Saffron which is pretty much goes well with medium and fairer skin tones. they instruct to apply all over face & neck using powder applicator that comes along with this. But I usually use a blush brush to apply it because its like too much of powder applied with applicator. It will soon fade off but I dont like that powder baby look on me. In case I applied with applicator I even use the blush brush to spread it evenly and dust off excess powder. 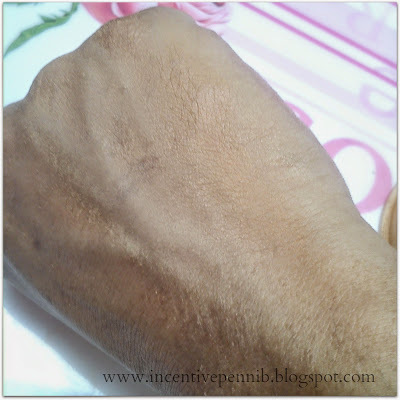 this is how it look when applied with its applicator. Very cheap in price. its just Rs.340 and mostly available anywhere in Sri Lanka. Hate the applicator. It applied too much powder unevenly. Powder settled in my pores. Overall I do love wearing this with foundation that need a powder touch up. 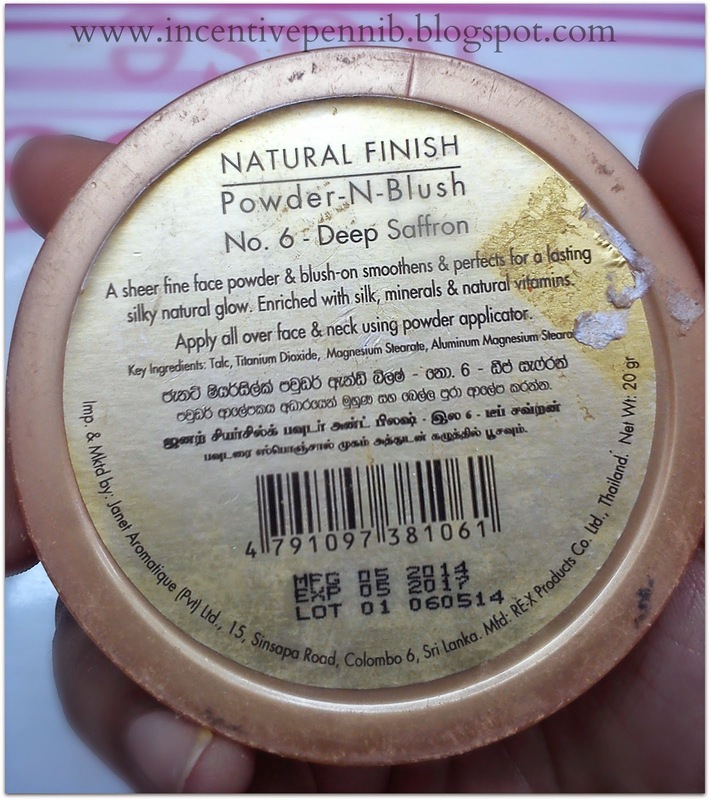 Its a not so good and not really bad powder. I would recommend it if you want a powder that really cheap in price or if you like a powder for everyday use or just for touch up. Check out my another powder review Oriflame very my no time for shine powder. If you like my posts follow my Facebook page for updates. Nappy holder/Diaper Stacker is a bag like a thing to organize your baby's nappies and diapers in one place. At the same time you can use it as a nursery decor while you hang it on the wall or in cribe or cot. Since I will be having my baby no2 anytime soon I need to keep everything ready and Keep all the newborn baby stuffs away from my daughter. Because she's likely to pull anything and everything at the home and her favourite game is to playing with clothes. So it's safe and convenience to hang them in the wall for me. You can either buy or stich a nappy holder. 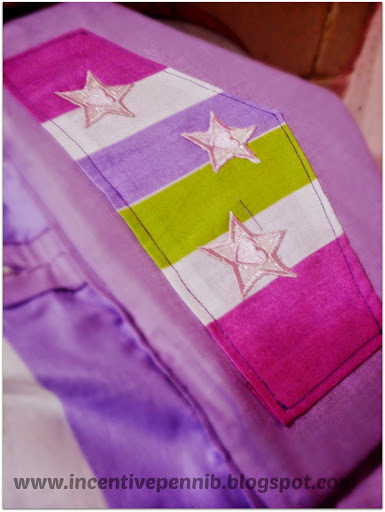 But if you know to stich then do it by yourself because it's very easy and moneysaving. You may not need lot of material either. And you can reuse any old clothes too.